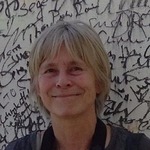 Monique Borgerhoff Mulder is UC Davis Professor of Anthropology with over 17 years' experience working in Mpimbwe, western Tanzania. She specializes in quantitative demographic and economic analyses, and has edited a book "I've been Gone Far Too Long" on the (typically mis)adventures of doing science in remote places. Monique's projects haven't shared results yet.